A high quality wall hung wash basin that is very deep in styling. 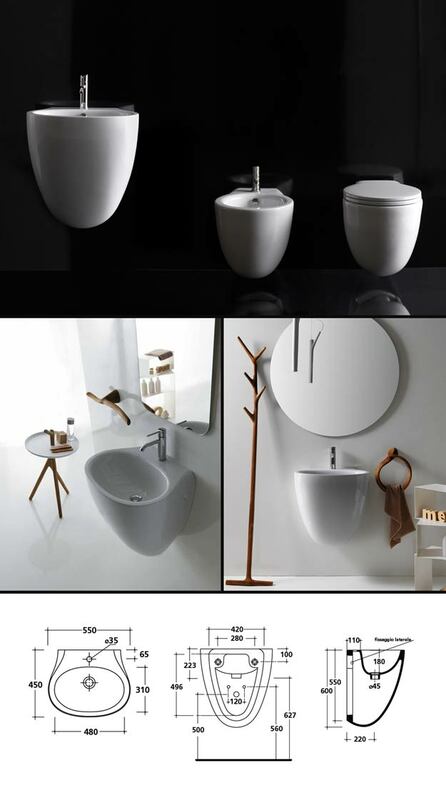 This unique contemporary wall mounted basin is luxury European quality and the very latest in Italian bathroom styling. * Latest in bathroom design.